STEP 7B. Increase Your Frequency and Lower Your Dosage. 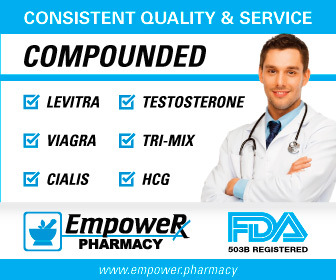 Unfortunately, most men do not know how to lower estradiol naturally, so they think to themselves, "What pharmaceutical and supplemental solutions are there for me?" And an aromatase inhibitor like Arimidex or Letrozole will dramatically lower estradiol - no doubt about it. Fueling this way of thinking are many HRT clinics and anti-aging doctors who use Arimidex for just this purpose as part of their regular HRT protocol. Why do I have to medicate my TRT (testosterone therapy)? Seriously, doesn't it strike you as odd that you have to take a pharmaceutical just to make TRT work? That's how I felt anyway when I first went on 150 mg/week of testosterone cypionate with an HRT Clinic and they gave me Arimidex almost immediately. The reason that estradiol goes up on testosterone therapy centers around the fact that about 80% of our estradiol comes from testosterone via the aromatase enzyme in our fat cells. That's right - you get almost all of your estradiol from your testosterone. (This is not true for women.) So when you significantly raise your testosterone through some kind of a TRT protocol, you will end up raising your estradiol as well - it's just simple chemistry. And the more you raise your testosterone, the more your raise your estradiol. 1. Drop Your Dosage. So let's take the case I mentioned above where a man has testosterone of 1200 ng/dl and estradiol of 50 pg/ml. If he cuts his testosterone back 20% to 960 ng/dl, he might expect roughly a 20% drop in estradiol as well, which would bring him down to 40 pg/ml. Now, based on what I have seen, some men will struggle a bit at 40 as well, so this still isn't perfect. At that point, it's time to look at the waistline: most guys have 20-30 pounds of body fat to lose as well. Losing that extra weight will probably decrease their estradiol to right where they will feel good and healthy. Remember that the more bodyfat you have, the more aromatase you have and the more of your testosterone gets converted into estradiol. And, no, the great majority of men do not need testosterone of 1200 ng/dl to put on muscle, have a great bedroom life, etc. Right now my last two testosterone reads (done simultaneously at two different labs) were 700 ng/dl and 800 ng/dl. I have been putting on muscle, getting regular morning erections and my libido is high. I simply have no compelling reason to go higher than that. More is not always better. Again, dropping your dosage down will lower your estradiol and is a great first step in many cases. Discuss with your doctor of course. 2. Increase the Frequency. Another thing you can do to lower estradiol, at least according the most of the guys on my forum, is increase the frequency of your injections if you are using cypionate or enanthate. For example, not only did I lower my dosage down to 100 mg/week, but I also went to every other day subQ cypionate injections. Losing some weight, lowering my dose and injecting every day got my last estradiol read down to 27 pg/ml, which is a good number in my opinion. Of course, if you are on a topical, this is not a concern, since you are applying your cream or gel daily. CONCLUSION: Some commentators insist that men on HRT, as they age, become more "estrogen dominant" and will likely require a low dose aromatase inhibitor. This is risky, because a) there are issues in my opinion with the accuracy and consistency of the current estradiol tests for men and b) if a man accidently goes too low (from test inaccuracies or lack of monitoring), he could end up with osteopenia or osteoporosis several years down the road. We have a couple of men on Peak Testosterone Forum with osteopenia, and I have no doubt that we have had quite a few more who are completely unaware of it. That one of the issues with bone loss: you don't usually "feel" anything until the damage has already been done. CAUTION: Find a physician that understands testosterone therapy and osteopenia / osteoporosis and discuss all of the above. Some men are very low estradiol even with solid testosterone levels, an issue that needs to be discussed with your doctor.